Health science laboratories required a reliable source of pure water for their operations. Water purity and reliability are critical to operations. 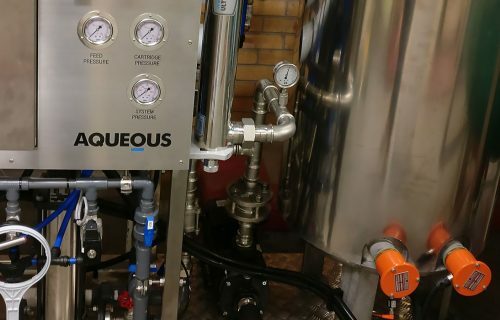 Aqueous designed, built and installed 2 x two-pass RO machines with ion exchange polishers. Each machine operates in alternating duty standby arrangement to provide 100% online backup redundancy. The units are linked to the site wide Supervisory Control and Data Acquisition (SCADA) control system for real time monitoring, logging and remote operation. The project was delivered on time and within budget and was integrated within existing infrastructure with minimal downtime. High purity (up to 18 Mega Ohm) product water quality. 2 pass RO, ion exchange. 2 x 100% alternating duty standby redundancy. Integrates into existing Site SCADA. Full remote control and monitoring of all process variables.